Over 44 countries will participate in the 16th edition of the World Export Development Forum (WEDF) which will be held on October 12 and 13 2016, in Colombo. 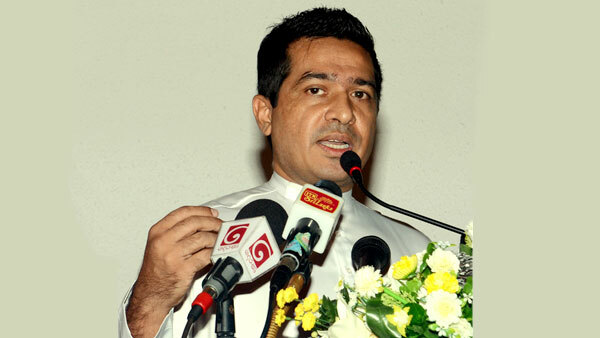 “WEDF is a unique global conference and business-to-business (B2B) matchmaking platform dedicated to supporting trade-led development and it’s an honor for Sri Lanka to host an event of this magnitude,” State Minister of international Trade, Sujeeva Senasinghe said. This 16th edition of WEDF is co-hosted by ITC and the Ministry of Development Strategies and International Trade of Sri Lanka, through the Sri Lanka Export Development Board (EDB). ITC is the only United Nations organization focusing exclusively on small and medium-sized businesses, which are now recognized as a cornerstone for development by the United Nations as well as by the G7 and the G20. ITC helps small and medium-sized enterprises (SMEs) grow and compete internationally, building on business opportunities. The high-performing economy is underpinned by a skilled, educated workforce. Many multinationals have a home in Sri Lanka. Over 80% of Sri Lankan businesses are SMEs. They feature prominently in Sri Lanka’s economic blueprint, which sets out ambitious goals to create one million new jobs through wider participation in the global economy. EDB is the key agency that promotes linkages between Sri Lankan businesses and international markets and partners. The consumers of tomorrow are shifting and its expected that by 2030, two thirds of the middle class will be in Asia, 14% in Europe, and 7% in North America, according to the Brookings Institution. Africa and Latin America too, are changing fast. The World Bank estimates that nearly half of Latin Americans will be in the middle class by then. The African Development Bank reports that Africa now has the fastest-growing middle class, with almost 35% of Africa’s population. This is double what it was less than 20 years ago. As a result, trade patterns continue to change. There are growing transactions within and between the South, such as between Asia and East Africa, and Latin America or between African countries themselves. This trade will continue to be anchored within regional and international value chains. Consumers increasingly emphasize quality, standards and labour and human rights in their purchases of goods and services. There is greater attention on transparency and traceability of value chains. The way that consumers purchase and consume goods and services is also changing, with technological innovations and falling transportation costs. The economic power of women and youth has yet to be tapped. This ‘third billion’ of women, including entrepreneurs and young consumers, are becoming vibrant economic actors in the new business reality. Trade and business policies must transform to meet these new realities. The continued fragmentation of production, logistics, a focus on reducing non-tariff barriers to trade, and the implications of private standards will dominate the trade topography. The balancing act between the multilateral trading system and megaregional trade agreements will also define the landscape. As megaregional agreements such as the Transatlantic Trade and Investment Partnership and the Trans-Pacific Partnership emerge, the voice of business is essential to shape competitiveness strategies. Trade facilitation and logistics remain key drivers of improved connectivity. “Digital technologies are reshaping how we trade, opening up new opportunities to compete in the global economy. "Enterprises can reach new consumers around the world directly, and integrate more quickly and higher up the value chain, thanks to e-commerce and technologies such as 3D printing," said Chairperson EDB, Indira Malwatte. She said that through the Business match making events the local SME sector would be able to interact with global companies and share their knowledge and also even look at partnerships. She said that at the end of the event a Boat show too would be organized enabling some of the business leaders, policymakers, heads of trade and investment support institutions and international trade development officials get a firsthand experience of the capabilities of the local boat industry.